I recently attended the Jerusalem Writers' Seminar, where I spent the day listening to some of my favorite authors and writers talk about their craft. Obviously part of the fun of my day was going to Jerusalem. The van driver took the scenic route from my town into the city, and the views of the hills and trees were amazing. The seminar took place on Kanfei Nesharim street, which means "wings of eagles." It was once used as a landing strip to fly supplies from Tel Aviv to Jerusalem, but now it is a vibrant thoroughfare, full of shops, restaurants and government offices. Yaffa Ganz, who was the recipient of a Sydney Taylor Book-of-Work Award, gave a workshop entitled "The Art of Writing What Publishers Hesitate to Print," and reminded writers that people will often be more receptive to your message if it is presented respectfully and with appropriate language. Could you write an article about the beauty of the Israeli flag for an anti-Zionist publication? Could you convince Orthodox readers that women should wear tefillin? I have no doubt that Yaffa Ganz could, but for the rest of us it would be a challenge. 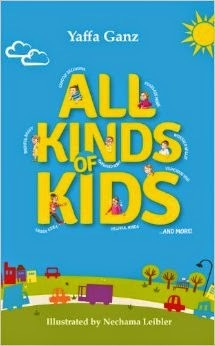 I got a peak at her latest book, All Kinds of Kids. This collection of stories goes through the alphabet (Thankfully, no contrived use of the letter "X") with Eager Ezra, Helpful Hinda and more. The short chapters make for easy reading, and, of course, it's Yaffa Ganz, author of Savta Simcha and so many other timeless Jewish children's books. I also met one of the organizers of this lovely day, Tamar Ansh. 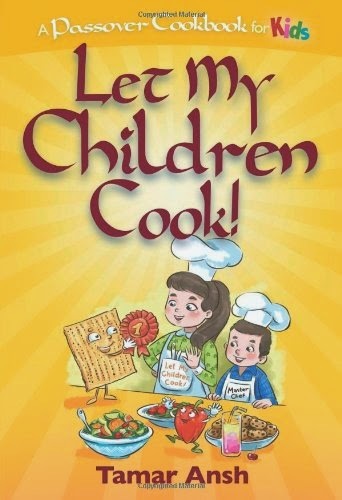 Tamar's most recent book, Let My Children Cook!, as an adorable, easy to use cookbook for kids. Besides Passover's "Very Important Recipes (VIRs)" like Charoses and Matzo Balls, you can use many of the gluten-free recipes all year round, and who doesn't love "Scribbled Eggs" or a banana milkshake? Libi Astaire also attended the seminar and gave a workshop. As a Regency Romance addict, I love the Ezra Melamed series, which strikes the right balance between Jewish content and the language and customs of the period. 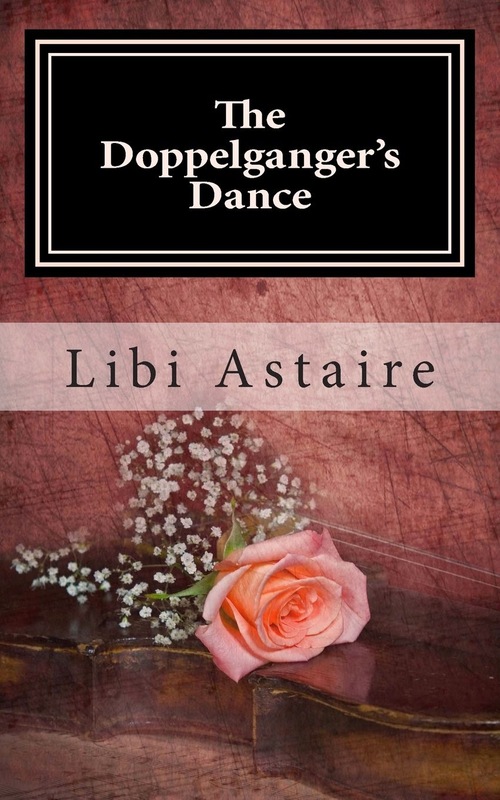 The Disappearing Dowry was named a Sydney Taylor Notable Book, and "in this fourth volume of the series, The Doppelganger's Dance, David Salomon, a young violinist and composer, has left New York to find fame and fortune in Regency London. But disaster strikes not long after he arrives. Someone is stealing and publishing his compositions before he can perform them and soon he is the laughingstock of the beau monde that he had hoped to conquer. With few friends and even fewer resources, he turns to Ezra Melamed for help with finding the thief." On the subject of the beauty of Israel, my friends at Go2Films are distributing a spectacular movie: The Land of Genesis. "The film presents the "Experience of The Land of Genesis" by following three mammals in their respective geographic habitats, as the seasons change. Each of the animals – the wolves of the Golan Heights, the swamp cats of the Sea Of Galilee and the ibexes of the desert – will open a window to the world of plants and animals of the region, a world filled with amazing beauty, a world in which there is no hatred, and which is guided only by one urge – the urge for survival. Utilizing the amazing landscape shots by the international awards winning cinematographer Moshe Alpert, and the magnificent ethnic-inspired music of Uri Ophir and internationally-acclaimed singer Noa, we managed to create a unique film, an uplifting experience of sound and color." It was a great day, wasn't it? I know that I found it inspiring to look around the room and see that there are so many English-speaking writers in the Jerusalem area who love good writing and are dedicated to improving their craft. And thanks so much for the mention of my Ezra Melamed Series and the new book. Is this an annual event? Someday, I'd love to be there, too. Thanks so much for sharing this post with the Jewish Book Carnival. Every year, I'm sorry to miss the conference, but the topic of Yaffa Ganz's workshop sounds so intriguing that I'm even more disappointed than usual!